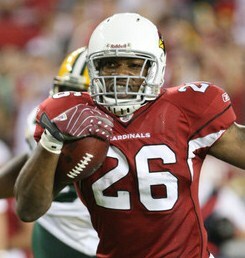 The Arizona Cardinals finished the preseason with a win over the lowly Denver Broncos 26-7. The Cardinals averaged more total yards on offense than any other team in the NFL during the preseason. They are still struggling with the running game, but their passing game seems to be ready for the regular season. Defensively is where the Cardinals may struggle again this year. They still do not have a proven pass rush, and can’t seem to stop the passing game of their opponents. Although the preseason is not necessarily a reflection of how a team will perform during the regular season, it does offer glimpses of what to expect. The Arizona Cardinals looked good in their final preseason game against the Denver Broncos, although that is not really saying much. 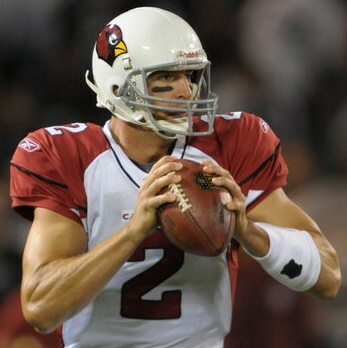 Many of the Cardinals starters only played one or two series, and the Broncos are looking to have a very long season. Offensively, the Cardinals looked sharp. Backup quarterback Richard Bartel saw lots of playing time, partially due to John Skelton being unable to play with an injured ankle. Starter Kevin Kolb played in only the first series of the game. Bartel looked good, getting rid of the ball when pressured and throwing the ball on a dime when given time. He made good reads and checked down to his second or third receiver when needed. He solidified his backup roll going 12 of 16 for 216 yards, two touchdowns, and one interception. The receiving corpse still continues to impress, even without Steve Breaston. Chansi Stuckey had four receptions for 99 yards and a touchdown. 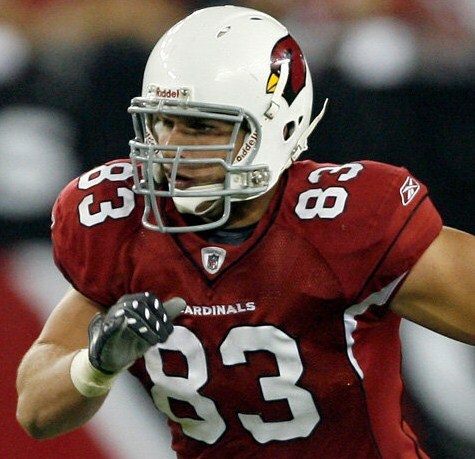 Rookie Aaron Nichols, and Stephen Williams both had three receptions in the game, and tight end Stephen Spach had five receptions for 55 yards. The offensive line only allowed one sack, but did not impress in the running game. With the injury to running back Ryan Williams, who will be out all season, rookie William Powell carried the ball 29 times for a total of 60 yards. Starter Beanie Wells had only two carries in the game. The Cardinals as a whole had 37 carries for 75 yards, an average of just two yards per carry. The offensive line will have to play the run much better during the regular season if they want to keep their opponents off balance at all. Otherwise, teams will just focus on the passing game and make it a very tough season for the Cardinals. Defensively, the Cardinals held the Broncos to only 80 yards rushing, and 213 passing yards. The Broncos did not score until there was just over three minutes left in the game. With that said, the Cardinals ranked 28 in total yards allowed for the preseason, and 25 in points per game, allowing an average of 21.8. If it wasn’t for this game, the Cardinals may have been ranked last in both categories. Marshay Green had a great game with five tackles, one sack and a forced fumble. He is undersized in height and weight, but does possess good speed. He caught up to Eron Riley after an 89 yard reception. Veteran defensive end Vonnie Holliday had four tackles in the game, and linebacker Will Davis had four tackles and a sack. Rookies linebackers Sam Acho, and Quan Sturdivant both had three tackles. Both Holliday and Acho exuded a good pass rush and pressured the Broncos quarterback on several plays. 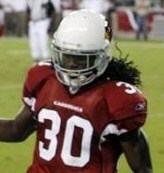 Linebacker Stewart Bradley who came to the Cardinals from the Eagles this year, registered no tackles. He did drop back in pass coverage and made the only Cardinal interception of the game. Defensive back Hamza Abdullah was making some big hits while rookie Patrick Peterson started the game, but registered no statistics. Overall, the Cardinals defense needs to produce a stronger pass rush, and get better on pass defense if they want to make the playoffs in the weak NFC West this season. The injury to Greg Toler will hurt the defensive secondary all season, but if Adrian Wilson can be 100 percent by game one, that will help. Offensively, Kolb might be the spark to get the passing game going, but the Cardinals will need to find a running game to go with it. Otherwise, teams will be able to focus on the pass, which will cause more sacks and interceptions. This year will be a big test for Beanie Wells and the offensive line. The Cardinals open their season at home against the Carolina Panthers on Sunday, September 11. This is a good team for the Cardinals to start the season against, as the Panthers were a measly 2-14 last year, and will be starting a rookie at quarterback. The Cardinals may need a little extra time to gel with their new starting quarterback, especially with the loss of practice time due to the NFL lockout this year. ~ by Troy Erickson Realtor on September 6, 2011.